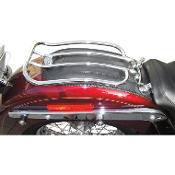 Bigger and beefier luggage rack that still maintains style Matches perfectly with larger fenders Outside rails made of heavy .065 tubing; inside rails are 3/8" solid steel Measure approx. 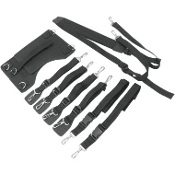 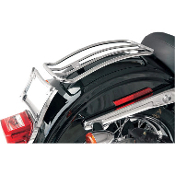 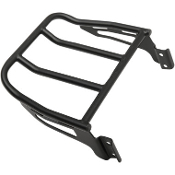 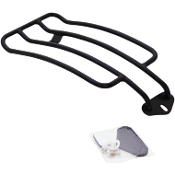 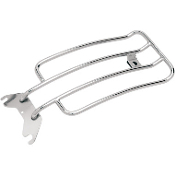 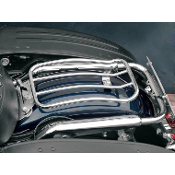 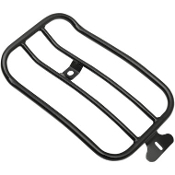 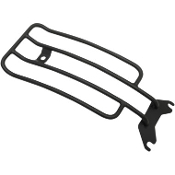 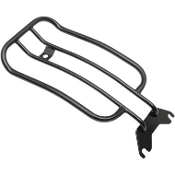 11" x 7" Made in the U.S.A.
For 97-15 FLHR, FLHT, FLHX, FLTR Bigger and beefier luggage rack that still maintains style Matches perfectly with larger fenders Outside rails made of heavy .065 tubing; inside rails are 3/8" solid steel Measure approx. 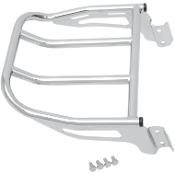 11" x 7" Made in the U.S.A.
For 07-17 FLSTF, 05-17 FLSTN ** FLSTF single rider models require fender nut kit Bigger and beefier luggage rack that still maintains style Match perfectly with larger fenders Outside rails made of heavy .065" tubing; inside rails are 3/8​​"... For 06-15 FXD, FXDB, FXDC, FXDL, FXDF, FLD (except 06-15 FXDWG, and 09-15 FXDB) Bigger and beefier luggage rack that still maintains style Matches perfectly with larger fenders Outside rails made of heavy .065 tubing; inside rails are 3/8" solid steel Measure approx. 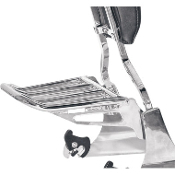 11" x 7" Made in the U.S.A.